Sohaib Aleem,M.D. 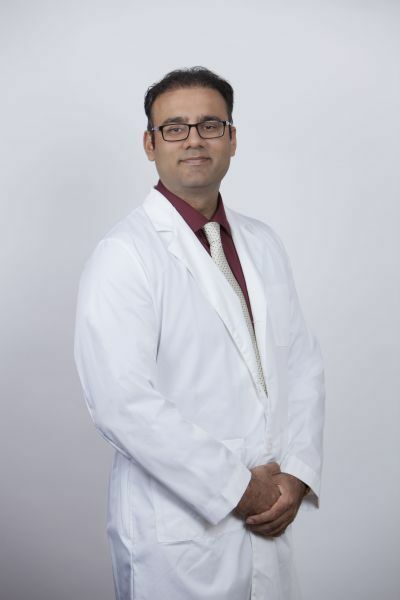 an allergist/immunologist at The South Bend Clinic, received his medical degree from Aga Khan University in Pakistan and completed his residency in combined internal medicine/preventive medicine at University of Buffalo, New York. He earned his Masters in Public Health at University at Buffalo and worked for 3 years as Assistant Professor and Associate Director for Data and Performance at Dartmouth Hitchcock Medical Center, New Hampshire. He completed his fellowship in Allergy/Immunology at University of Iowa, Iowa. He manages both children and adults struggling with various allergic diseases including asthma, nasal allergies, sinus disease, food allergies, eczema, hives and immunodeficiency disorders. Struggles of his family members with asthma and immune related disorders provided the impetus for Sohaib to pursue a career as an allergist and immunologist. With recent advances in the field of allergy and immunology, he is excited about the prospect of safer and effective therapeutic options becoming available for his patients. With a background in public health, quality improvement and preventive medicine, he offers high value care as he partners up with patients to come up with strategies to address allergic and immunodeficiency disorders. Sohaib is board certified in Allergy and Immunology, Internal Medicine as well as Preventive Medicine. He is a Fellow of American College of Physicians as well as a member of American Academy of Allergy, Asthma and Immunology and American College of Allergy, Asthma and Immunology. In his spare time, Sohaib likes to exercise, watch movies and enjoys different cuisines. Sohaib Aleem, M.D. will be practicing at The South Bend Clinic’s main campus.